Anthem (game, 2019). An online multiplayer action role-playing video game by Electronic Arts. Developed by BioWare. Official Trailer. Anthem is an online multiplayer action role-playing video game by Electronic Arts, developed by BioWare. 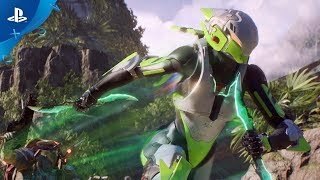 Anthem Launch Trailer | PS4. 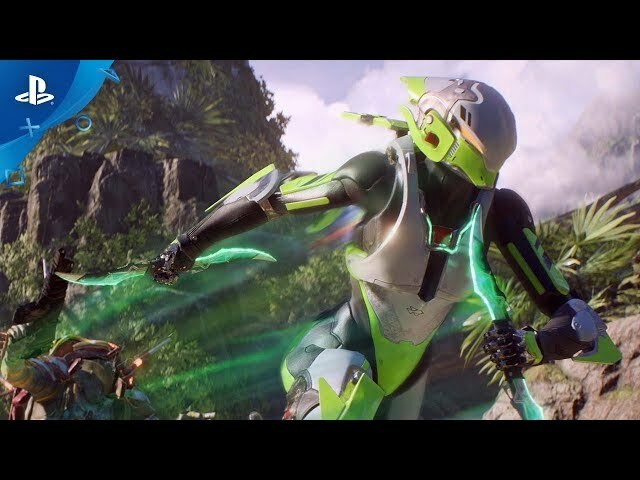 Anthem is set on an unnamed planet littered with advanced technological relics that harness an omnipresent energy source known as The Anthem of Creation. Unstable relics can spontaneously terraform sections of the planet, mutate wildlife, change the local climate, create portals, and spawn monstrous creatures. Extremely unstable artifacts can envelope a significant area with destructive energies, storms, and creatures, rendering them barren and inhospitable. Such events are known as Cataclysms. Humanity has limited knowledge as to the origins of these relics, how they work, and the extent of their abilities, but believe they were created by a godlike race called the Shapers, who abandoned the planet thousands of years ago for unknown reasons. The Anthem and the Shapers are revered by some people as the source of all life. Centuries before the start of the game, humanity was enslaved by a race of creatures called the Urgoth. A human named Helena Tarsis and her compatriots used Shaper technology to invent powerful exosuits that would allow them to fight back. These exosuits became known as Javelins, and Tarsis sacrificed herself to overthrow the Urgoth, who haven't been seen since. Over the centuries, General Tarsis and her Legion of Dawn became heroic legends to humanity, which also reestablished itself as a dominant race. In the nation of Bastion, most people live in fortified cities protected by Sentinels: Javelin pilots who act as the primary security and police force within the city walls. National security issues that require discretion and espionage are handled by Corvus, Bastion's official intelligence and diplomatic agency. Beyond the cities is a frontier filled with dangerous creatures, exiled outlaws, a hostile insectoid race called Scars, and random disasters caused by unstable Shaper artifacts. Cities rely on Freelancers, a faction of altruistic Javelin-piloting mercenaries, to deal with these threats. In the field, Freelancers rely on the help of Cyphers, individuals who are naturally attuned to the Anthem and use their resulting psychic gifts to remotely assist on missions and process data. Anthem was scheduled to be released by Electronic Arts on February 22, 2019. The game is made with Frostbite 3 engine.